Bistamp is one of the most reliable Bitcoin exchanges nowadays. The platform was founded as a European alternative to then-dominant cryptocurrency exchange Mt. Gox and provides secure and reliable service to their customers since 2011. The company was founded by Damijan Merlak and Nejc Kodrič in their native Slovenia, but in April of 2013 moved to the UK, then to Luxembourg in 2016. This cryptocurrency exchange is well-connected in the industry. They work together with Coinbase, one of the most popular BTC exchanges. The company has also attracted significant investment from Pantera Capital, one of the biggest Bitcoin-specific venture capital investors, owned partly by Benchmark, Ribbit Capital, and Fortress Investment Group. The verification itself doesn’t affect the amount of money you can trade, but deposits and withdrawals are not possible with an unverified account. 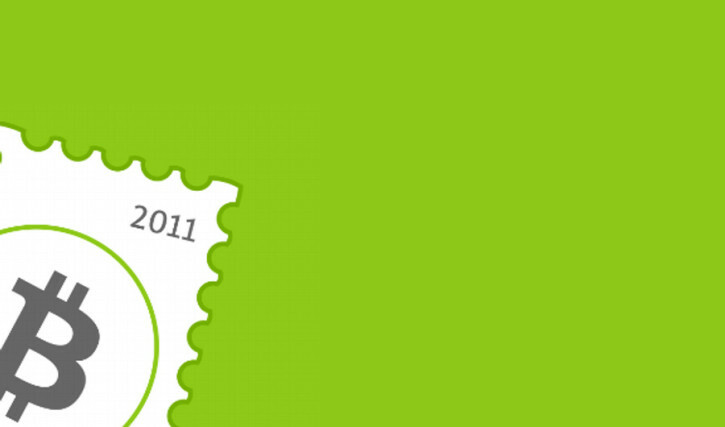 Bitstamp currently accepts just two fiat currencies – US dollars and European Euro. When it comes to cryptocurrencies, they support BTC and Ripple, but Ripple trading is something that we would not recommend due to extremely high fees. Bitcoin trading is the main feature of Bitstamp, and it works as a user-to-user trade, while Ripple trading is conducted directly, user-to-Bitstamp with an unfavorable exchange rate. International Wire deposits carry 0.05 percent Bitstamp fee with a minimum of 7.5 USD/EUR and it takes 2-5 business days to be completed. International Wire withdrawals carry 0.09 percent Bitstamp fee with a minimum of 15.00 USD/EUR. The minimum amount for international wire withdrawals is 50.00 USD/EUR, and it takes 2-5 business days to be completed. When it comes to Bitcoin trading fees, Bitstamp starts a bit high with 0.25 percent for a monthly volume lower than $20.000. The percentage drops as the volume increases; all the way to 0.10 percent for a monthly volume over $20 million. The minimum trading amount is currently $5. Previously the minimum trading amount was $0.86, but the exchange had to increase the limit due to customer complaints. Customers complained that they are paying five times higher fees on the smaller trading amounts due to the Bitstamp’s rounding policy. Bitstamp allows users to execute instant orders at the best bid currently available, to ask price as well as to place limit orders. Buying of Bitcoins is available to businesses and individuals 24/7 through the Tradeview interface and a well-documented API. The API gives users complete access to their accounts, as well as a quick way to analyze the public book and ticket information. 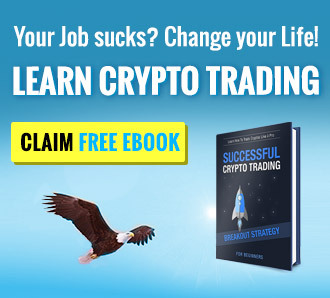 The company also has mobile apps for both Android and iOS, which allow easy trading on the go. The exchange does not support trading of derivate and futures. Altcoins and margin trading services are not supported too. The website’s interface looks simple and clean. It’s very easy to find your way around even if you are the first-time visitor. 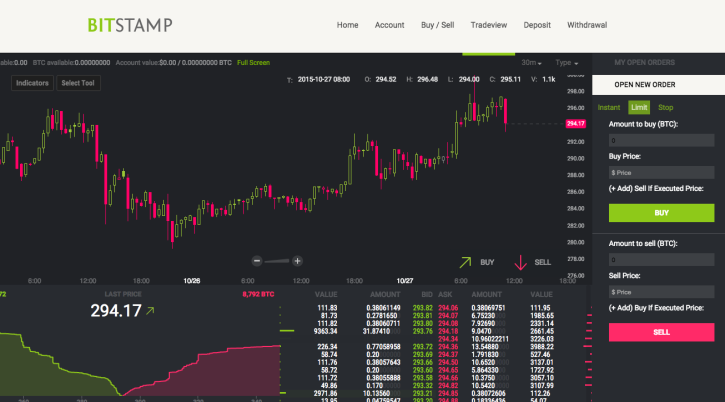 Bitstamp also has one of the best live trading view interfaces and a great Fiat/BTC graphs. You can learn how to use the Tradeview interface here. Bitstamp’s customer support typically responds within an hour and they are ready to go an extra mile to help resolve user’s issues. They have earned the respect of many users by giving honest replies to support tickets and working overtime as well as hiring additional staff to handle the workload in times of need. More than decent support – everyone loves them, including us. There are no scam reports on the Web found but in our comment section below there are a couple of negative reviews in the recent past. The trading platform keeps the security pretty basic. It offers two-factor authentication that connects a user’s account to a mobile device, and a password, which needs to be changed every 90 days. The exchange was last time hacked in January of 2015, and the crooks have stolen up to 19,000BTC. More info can be found in this Reddit discussion. Bitstamp stores 98 percent of all coins in cold wallets, keeping the customer’s funds offline in secure vaults. The remaining 2 percent are held for a live trading on the exchange. The interesting fact is that the Bitstamp was the first major trading platform to incorporate the best security practices in the industry such as a fully insured cold-storage, two-factor authentication and mandatory confirmation emails in order to increase the security of the users. The company has email and SMS alerts, and they use PGP (Pretty-Good-Privacy) data encryption for authentication of the uploaded files and privacy protection. If you are based in Europe, this definitely an exchange you should consider using. Having questions? Feel free to post them in the comments. They refuse to sell your currency to USD. They refused to reimburse to a USA bank. They want a signed letter from your USA bank saying that they can sell crypto and convert to USD to deposit in your bank. GOOD LUCK with that hassle. As few other reviewers, my account has been terminated without any reason or prior notice, reason claimed is some vague “internal policies”. The amount of fees I payed them is far well in 5-digits and my money is still with them with almost non-existent communication so far. Avoid this exchange if you don’t want to have similar experience. Even if they won’t terminate your account, you are guaranteed to get a ton of pervasive questions once you attempt to withdraw your money. Was the reviewer paid to write about them….this company has not deposited money that belongs to hundreds of people and they fondly hope that no one will do anything. If you are like us and have uncredited BCH for BTC held by Bitstamp, go to http://www.bitstampclassaction.com. I would not recommend this one! it was ok so i thought until they decided to hit my credit card without my permission for 1000.00 dollars and you can forget about trying to get them to take care of it, had to get my bank to dispute the charge, I took all my coins out, read the other reviews before hand like i did not until now. totally screwed, unable to handle the demand, accumulate tickets for deposits held in limbo etc. Support does not respond within 1 day. Typically it’s a week later, or not at all. I’ve been trying for weeks to transfer my money to my personal account with no success and almost zero customer support. No phone number. I’m starting to think Bitstamp may be in financial trouble or at worst a Ponzi scheme. I sent money to them 4 weeks ago, still not credited, WTF? This company is a scan! How the hell did it get a 4 star review? These bitstamp assholes got my money and never heard from them again. There’s no customer service line (is some kind of Google voice). Be careful! Don’t send money to them or you will loose it. Bitstamp is not reliable and is acting as a scam and fraud. You should try to visit Google and type Bitstamp scam fraud and read how many people have problems. I opened an account early December. The verification took about one week. I made $10k wire transfer last Friday using a company name. Two days later i got a message saying that funds can not be accepted because the name on the account is different than the name of the sender and that more documents are needed to verify. I asked them to send funds back to sender which they listed as one option. It has been there days and no answer. After reading these I might be waiting few weeks! Did anyone recover funds from them and if so, how long did it take? If I do not get my money I am planning to reach out to the media in the US and Europe and also the police to make sure they are flagged and stopped if needed.